this fluid is also ideal for use with most other haze machines. A fine optically transparent air-born medium haze is produced with a light index of refraction - ideal for beam projection. 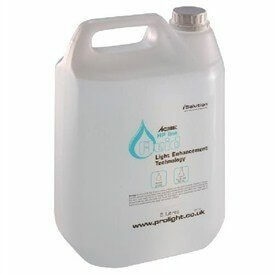 Specially formulated for the Atmo range of hazer's, this fluid is also ideal for use with most other haze machines.